When it comes to an orcish weapon, bigger is always better. And this Orcs Big LARP Axe is about as big as they get. It is also one terrifying weapon, possessed of a size and a shape that would easily rend and smash the opposition into the ground. If this weapon reminds you of a cleaver, then you are not alone. This axe is simple and straightforward, both in design and in concept (which is rather typical of an orc weapon). The haft is designed to resemble a simple, rough length of wood, complete with simulated wood grain, while the axes deadly blade looks like a roughly forged section of metal that is been round to a jagged, cracked edge. The axe-blade has a subtle curve and seems to be held together by red ties, although in truth, a weapon like this crushes as much as it cuts, ensuring that weight and size work together to make this a deadly weapon to wield. Yet as deadly as it looks, this weapon is perfectly safe for use on the field of battle, being made from LARP safe materials. It is constructed from an extremely durable foam that does not shred, which has been sealed within a strong coating of latex. 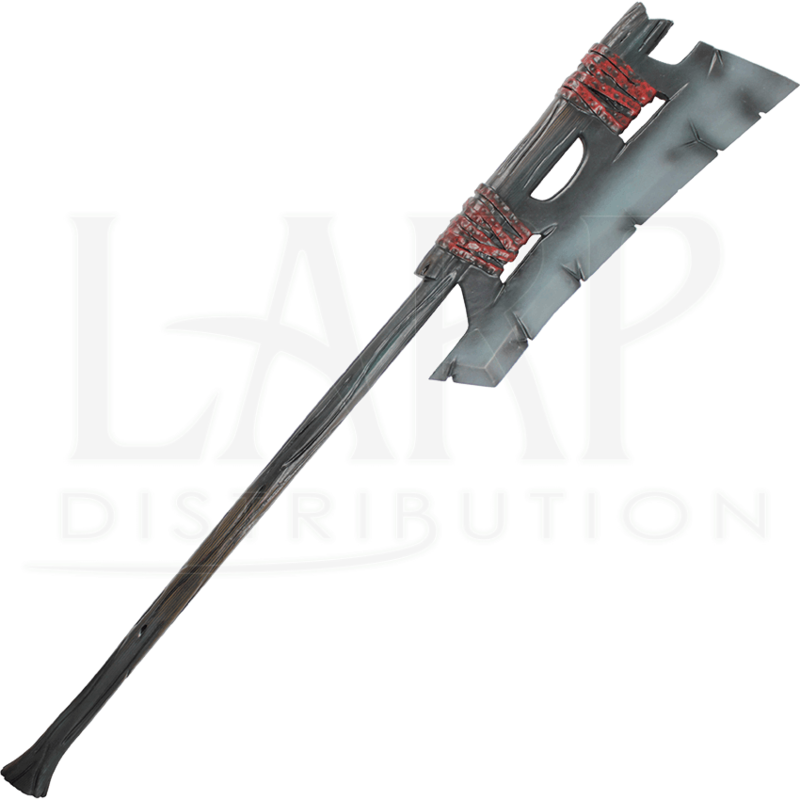 As safety is always a concern in LARP, this weapon also features a round, flexible fiberglass core that bends and flexes. The core also features a durable Kevlar cap for added protection, both against the core and for when the weapon is used to stab. 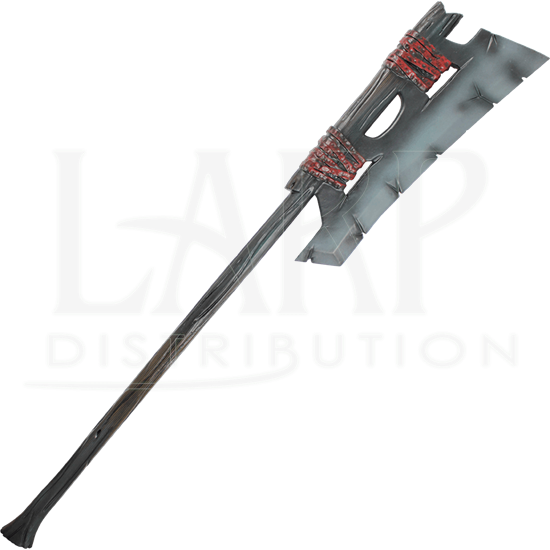 The Orcs Big LARP Axe has an overall length of approximately 60 inches. Please be aware that this measurement can vary slightly, as it is a hand-made item.